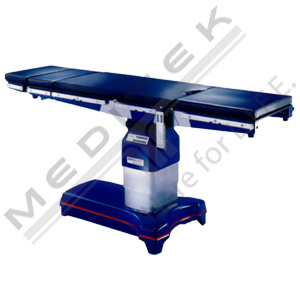 The design and engineering excellence of Meditek Remanufactured Surgical Tables are integrated into every remanufactured surgical table, assuring maximum reliability, performance and value. 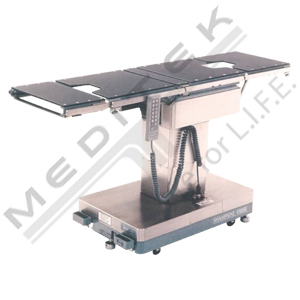 You have an incredible investment in your surgical table! 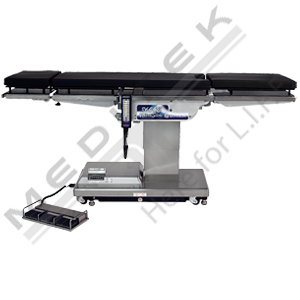 As surgical tables are one of the more costly tools in the operating room, does it not make sense to make them last as long as you can? With growing budget concerns in today’s Canadian healthcare industry, remanufacturing can save your budget from red ink. Think of remanufacturing as an extension on life or a rebirth. 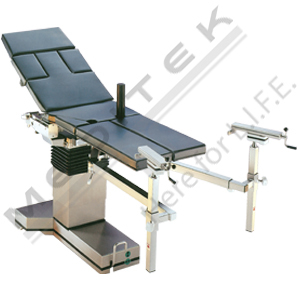 Your surgical table will be completely disassembled, down to the smallest nuts and bolts. 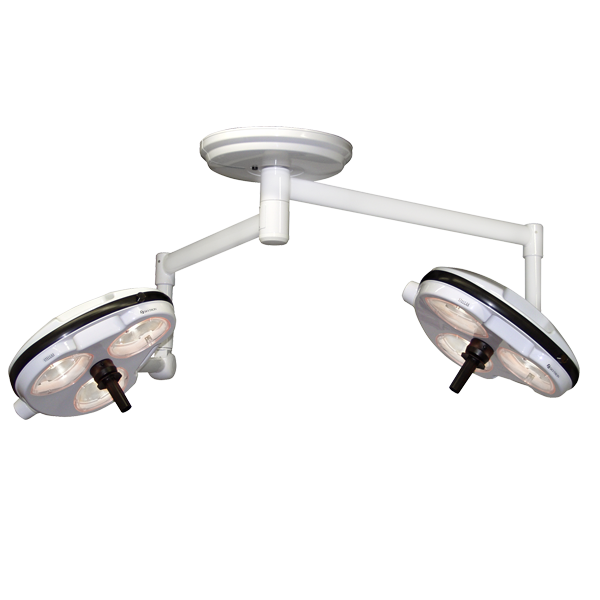 From there, any worn or damaged parts are replaced, and the product rebuilt from the top to bottom. 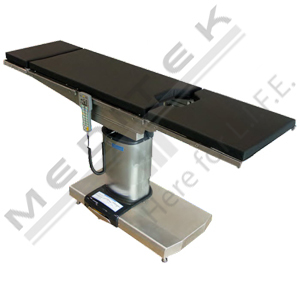 The end result for remanufacturing your table back to new condition is a product with the same performance, safety, appearance and reliability as new equipment. 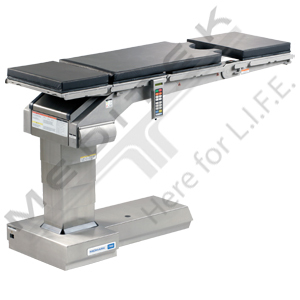 Remanufacture rather than replace, at less than half the cost! 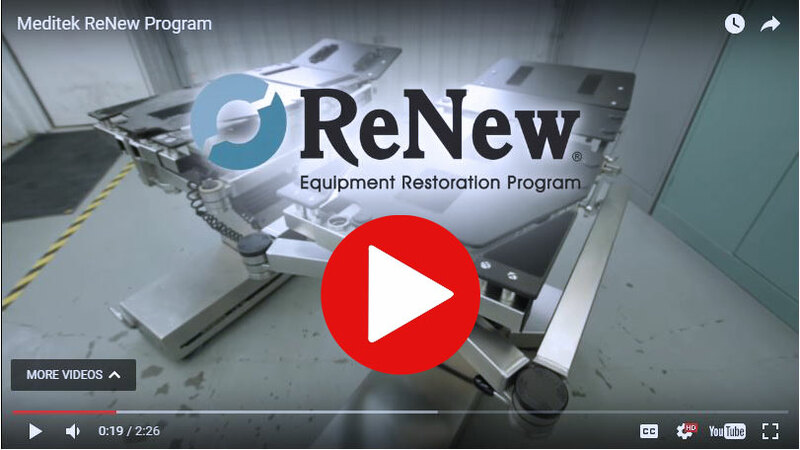 Meditek’s comprehensive Renew program makes buying a used OR table a worthy investment that will provide your facility with years of reliable service. 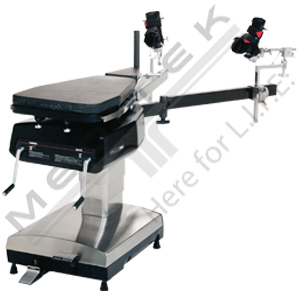 By buying used, however, you can save money while still receiving a quality product that supports the latest image-guided procedures. A Meditek remanufactured surgical table goes through a number of steps and tests to ensure it meets an exceptionally high standard of quality. 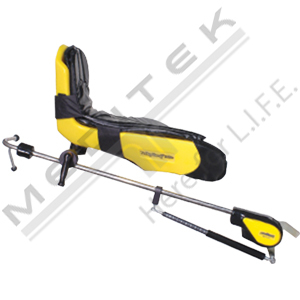 Our skilled technicians begin with a complete disassembly of the unit, identifying key concerns in the process. Remanufacturing can correct a number of issues, from cosmetic problems to broken or malfunctioning controls, hydraulic problems, tabletop drift and more. 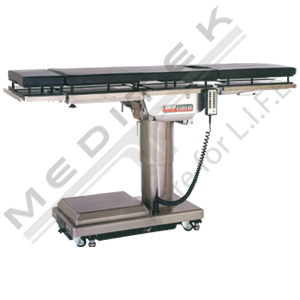 Once repairs and reassembly have been completed, the refurbished surgical table undergoes comprehensive testing to ensure it meets our standards. 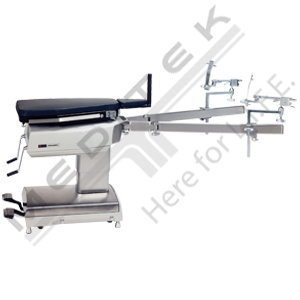 Because of this, we can offer a two year warranty covering parts and labour on all used surgical tables. 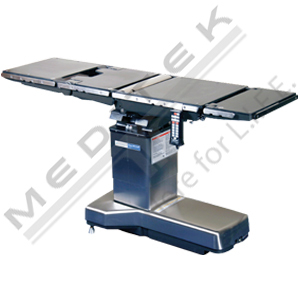 Why Buy a Remanufactured Surgical Table? 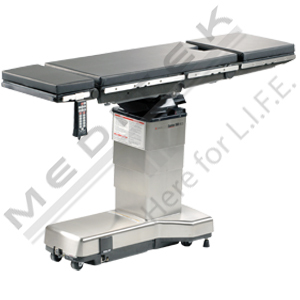 The biggest benefit to buying a remanufactured hospital bed or surgical table is cost. 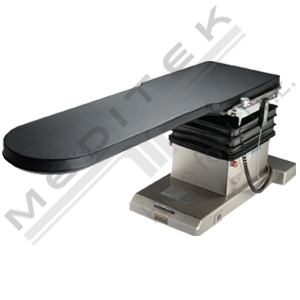 Used OR tables can save you thousands of dollars over the cost of buying new. When you need to expand your facility quickly and on a budget, buying used is the most practical option. 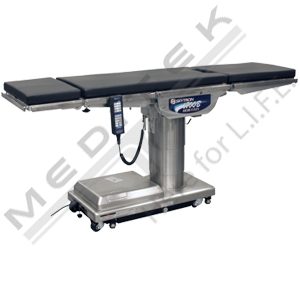 Meditek has helped hundreds of hospitals and clinics nationwide save money while improving their ability to serve patients. 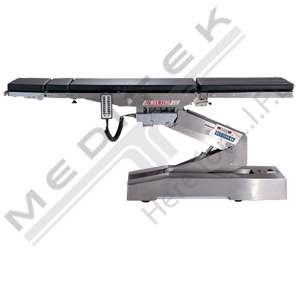 Our fully-refurbished surgical tables will provide excellent performance and low maintenance costs for years to come. 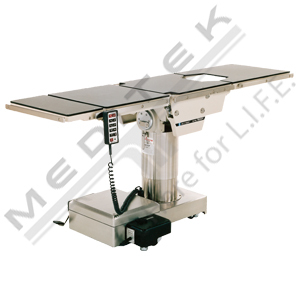 Meditek has over 30 years of experience providing refurbished surgical tables in Canada, and we offer nationwide on-site support for everything we sell. If your purchase ever requires repairs or warranty work, we can quickly take care of your needs with minimal downtime and less interruption to your workflow. 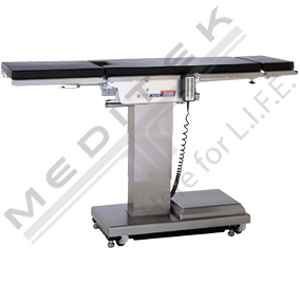 We are registered with Health Canada and have a large inventory of parts on hand that expedite the repair process. 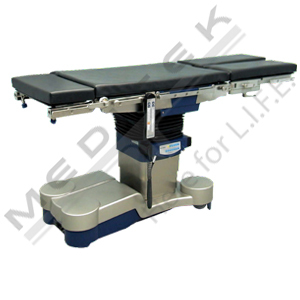 In addition to general surgery beds, we also sell used and refurbished urological, bariatric, OB-GYN and other specialty beds by manufacturers such as Maquet, Steris and more. It’s no secret that healthcare providers in Canada are constantly being asked to do more with less. 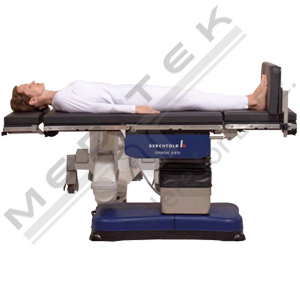 When it comes to upgrading aging equipment, buying a used or refurbished OR table, surgical bed or other product is an excellent alternative to a costly new product. 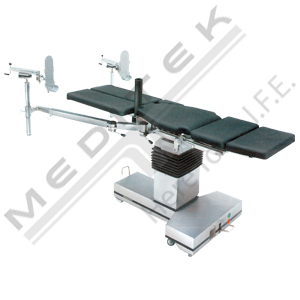 For more information about how Meditek can help you, contact our office to find your local representative.